A reader who changed her mind about renting a property after paying the deposit wants to know if the landlord can legally retain the deposit until another tenant is found. She and her husband viewed the property available for rent and, liking what they saw, supplied all documentation required by the landlord for approval. The landlord approved their application to rent the property and they paid the deposit to secure the lease on the same day. Two weeks later the landlord sent a copy of the lease contract to the reader, who forwarded it to her attorney to review. The attorney identified three paragraphs in the lease that were illegal and many more with which the reader was not happy. She advised the landlord of the amendments required, who responded by saying she was not prepared to change anything in the contract. The reader then sent the landlord an email cancelling the agreement and asked for a refund of the deposit within seven days. The landlord replied to say she would only repay the deposit if she found a new tenant. It would appear that each party has a point. From the reader’s perspective, they were clearly concerned that the provisions in the lease agreement could be detrimental or prejudicial to them. They had not yet taken occupation, despite having paid a deposit and, in the circumstances, felt that the matter could be resolved simply by undoing what had already been done. From the perspective of the landlord, a tenant expressed interest in her rental property and, as a result, she possibly put off a number of other potential tenants. She then felt inconvenienced when the reader required amendments to her draft lease and subsequently cancelled the agreement they already had in place. This begs the question of what agreement they had in place. Under the common law, a lease does not need to be in writing and the parties are only required to agree to a certain number of material aspects to create an agreement. But, under the Rental Housing Act, it is required that the landlord reduce the lease to writing. The act specifies the aspects to be addressed in the agreement, including the names of the parties, description of the property, monthly rental and deposit and lease period. 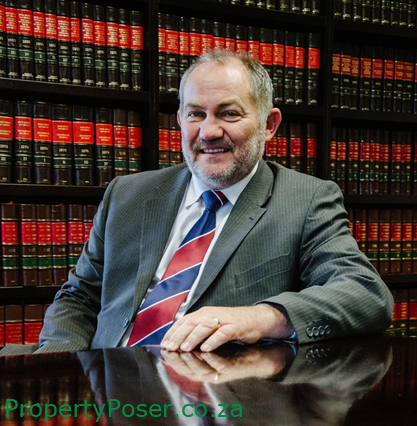 Simply put, it is possible that the agreement entered into by the parties at the time the deposit was paid was, in fact, an agreement of lease which merely required the landlord to reduce it to writing. The difference of opinion as to the offending provisions could then have been resolved, whether under the Consumer Protection Act, the Rental Housing Act or in some other manner. Another likely scenario is that the agreement struck at the time of the payment of the deposit was merely of an interim nature. The landlord possibly said she would still supply an agreement of lease for our reader to accept, but that payment of the deposit would, at least, secure our reader’s rights in the interim, allowing time to address the formalities. Not having insight into the thinking of the parties at the time makes it difficult to speculate further, but it is clear that an agreement was struck as the reader says she cancelled an agreement. In the event of there being a valid lease concluded between the parties, the landlord has a number of obligations in respect of dealing with a deposit. But in this instance it would appear that the landlord, notwithstanding the fact that she is prepared to refund the deposit if she secures a new tenant, regards the deposit as a form of damages due to cancellation of the agreement. The regulations to the act do address situations relating to unsigned leases, but only where the rent has already been paid or possession been taken. The reader should take legal advice, putting the entire version to her attorney, to determine what the nature of the agreement between them was. This will assist in the determination of the remedies available to her.